One of the single best deals in the world of video games is the Humble Bundle. It consistently delivers games in both a large quantity and of high quality for a price so low it’s hard to believe. 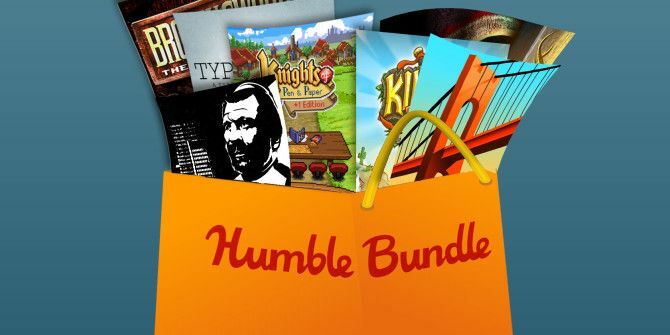 The latest bundle, called Humble Bundle PC and Android 9, already featured six fantastic games for less than $4, but now the Humble crew has made it even better, adding three more games to the mix, all without increasing the required minimum price. The three new games are The Shivah, Savant – Ascent, and Syder Arcade. Like all of the other games in this bundle, each one is available DRM-free and on Steam for Mac, Linux, and PC. They are also available on Android without any DRM. The Shivah is a point-and-click adventure game from 2006 that sees you jumping into the role of a rabbi trying to keep his synagogue alive. He ends up receiving a large sum of money, and he must figure out of if this is his saving grace, or something less positive. It’s a really fun game, especially for fans of the point-and-click genre. The next game is Savant – Ascent, which is a beautiful side-scrolling shoot ’em up from December of 2013. It’s a great game that features a heavy emphasis on music, and it has one of the better soundtracks of the games in this bundle. The last new game is called Syder Arcade. It’s a throwback to the Amiga games of yore, with plenty of space-based shooting and dodging of enemy fire. It’s beautiful, it’s fun, and it’s definitely a solid addition to this already fantastic bundle. There’s still a little under a week left to get in pick up the Humble Bundle PC and Android 9, so if you haven’t jumped in and grabbed it yet, you still have time.